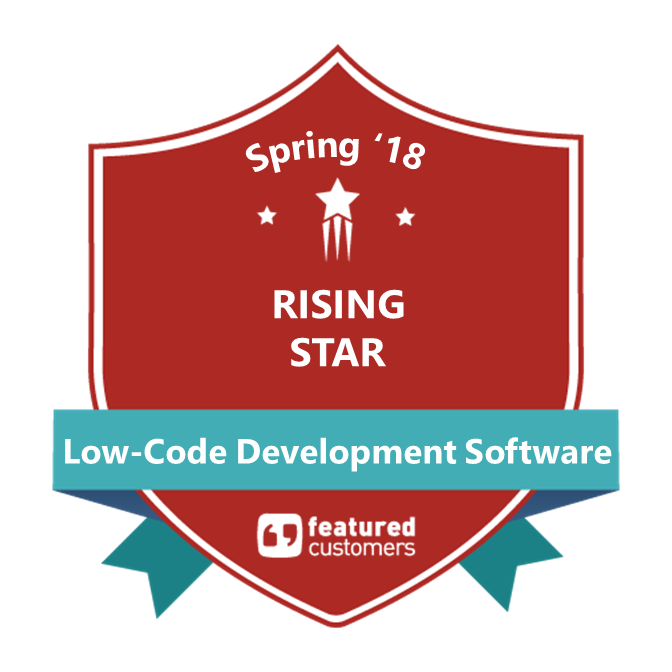 In a previous Blog we wrote about AlphaRef Reader which was built in Alpha Anywhere and serves as an example of the speed and polish that can be achieved when you build mobile apps with the platform compared to native iOS and Android mobile app development. In this article, we are publishing an analysis of AlphaRef Reder and Alpha Anywhere written by Geoff Bock. More info on Geoff is at the bottom of the blog. Dan Bricklin has done it again. The Visicalc inventor (who developed the program that launched the PC revolution more than thirty years ago) is turning his considerable talents to the simple task of browsing through information on tablets and smartphones. With the introduction of his AlphaRef Reader, we finally have a new and innovative reading app that supports problem solving on mobile devices—AlphaRef Reader. You would not think that mobile browsing is such a knotty problem until you realize that usually we are locked into a linear experience. Yes, I can tap and scroll through my favorite articles on my iPad, or flip through the pages of an electronic book on my e‑reader. I can easily navigate by headlines and sections, and follow links to external references—all predefined by editors and organized in ways that they think I will find useful. This works as long as I am engaged in simple tasks—curled up on my couch enjoying a story or sandwiched into an airplane seat prepping for a meeting, and just reading one page after another. But this kind of linear browsing is a far cry from what I want when I am actively researching a topic -- scanning through a pile of documents on my desktop (physical or electronic), looking for facts and examples and trying to keep track of my notes, skipping from one section to another as I notice items of interest, and adding sticky notes in ways that make sense only to me to help me remember the important things. "I wanted something tuned to reference material. That is, I want to be able to find information that I need (or find that it's not there) quickly, and be able to re-find something that I referred to in the past easily (a common need—we don't all have photographic memories of detailed specifications or instructions, but we do remember that we saw it). I also want to be able to skim through the material to get general ideas and for serendipitous discovery so I can know that I can find things in the future that I need. I want to minimize the time that I use the reader when in the midst of doing a task." Click here for Dan's article on the making of AlphaRef Reader. AlphaRef Reader sets out to fix these problems in intriguing ways by transforming linear browsing into interactive exploring. To begin with, Dan builds on the importance of document structure. AlphaRef Reader supports the familiar hierarchical content navigation—scrolling or tapping from the headings and sub-headings in a table of contents to the specific sections of the document. There are nifty interactive twists by browsing with a scroll bar. Each section can contain a summary, which is immediately visible as I browse. It’s possible to quickly scan through the list of headings and sub-headings, or jump from one branch of the tree to another. AlphaRef Reader includes a search function (currently an exact string match). If you have a word or phrase buzzing in your head, you can easily find it. So far so good. The more structured the document, the finer grained the browsing experience. But hierarchical navigation through a structured document and text-string searching are only incremental additions to the mobile revolution. The heavy lifting still requires defining the document structure and the tagging the granular content components up front. What’s really new is how AlphaRef Reader helps me remember what I’ve viewed and rediscover what I want. Dan mobilizes familiar capabilities of tracking and bookmarking, and adds them to the structured browsing experience. With one or two taps, I can get to my browsing history—how I have browsed from one section to another within the document hierarchy, as well as my most frequently viewed sections. The app can help me go back to what I was doing several days ago to refresh my memory. Moreover, when I find a section that is really important, I can tap an icon to bookmark it. The bookmarks are then collected in a two-dimensional mark board. I can drag the bookmarks into collections and piles, and annotate them to describe their significance. I can even bookmark my search activities to collect those related to a particular task into a single personal space. I think this mark board is a pretty unusual capability that demonstrates the innovative power of a touch and swipe app. I now have control over how I want to organize my bookmarks. 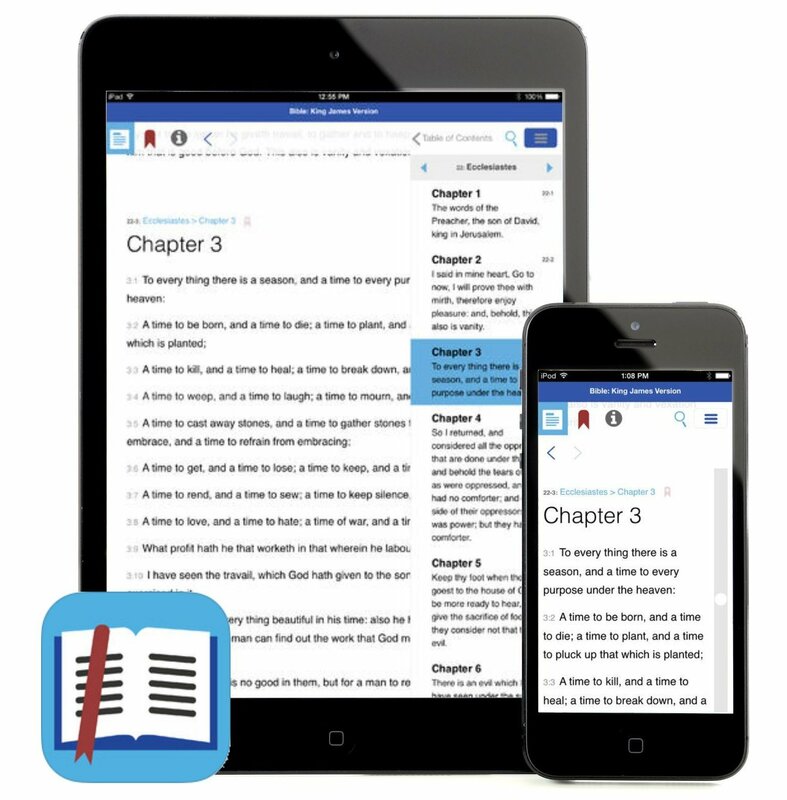 With the user experience elegantly designed by Adina Bricklin (Dan’s daughter) AlphaRef Reader comes currently preloaded with a single document, the King James translation of the Bible, as a demo. Dan is using Alpha Software’s Alpha Anywhere development system to produce the browsing experience. He leverages JSON-formatted data, enabling support for well-formed XML-tagged content as well. This is where things get interesting. With a little up-front investment, developers and publishers can easily extend and adapt the app to support unique reference and navigation experiences. It all boils down to questions of document structure and information architecture – topics with lengthy and checkered histories in the computer industry. Fortunately, with the acceptance of DITA for structuring technical documentation and the advent of Schema.org taxonomies for tagging a wide range of content objects across the web, we are well along the way to producing machine-readable content for digital consumption. As next steps, developers and enterprise IT organizations need to build the content distribution environments and the innovative experiences that consume all of this structured (and often semantically-enriched) information. Dan’s app is showing us what to do for the mobile reference use cases – tech docs, repair manuals, and even mobile travel guides, to identify but a few. This is one step in the ongoing journey for encoding structure and meaning into content streams. I believe that AlphaRef Reader is going to become a popular destination along the way.